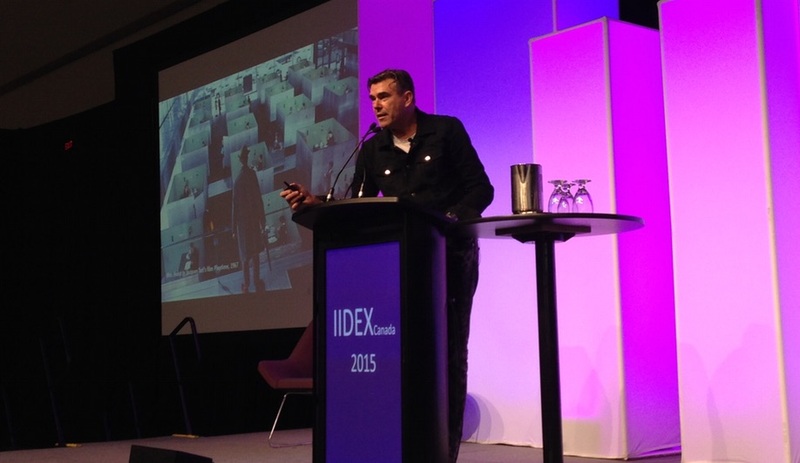 Last week in Toronto, IIDEXCanada 2015 delivered the goods. 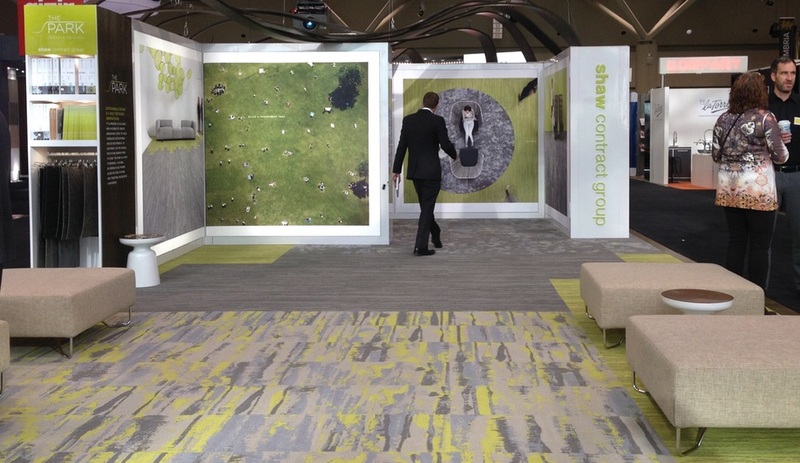 From sustainable carpets to innovative wood prototypes and community-building architecture, here are the trade show’s 10 best moments. An annual favourite, this curated exhibit features works by local designers, all of which utilize the ash wood surplus that has resulted from the province’s Emerald Ash Borer infestation. 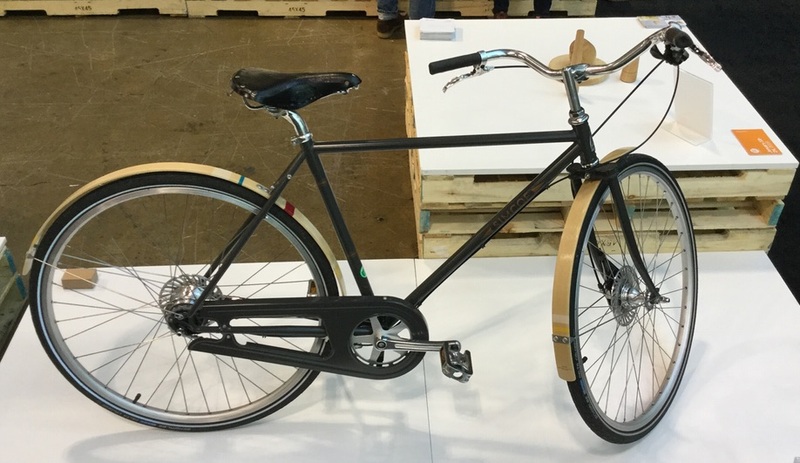 For IIDEXCanada 2015, Heather Lam and Scott Bodalay fitted an otherwise run-of-the-mill bicycle out with eye-catching wooden fenders. 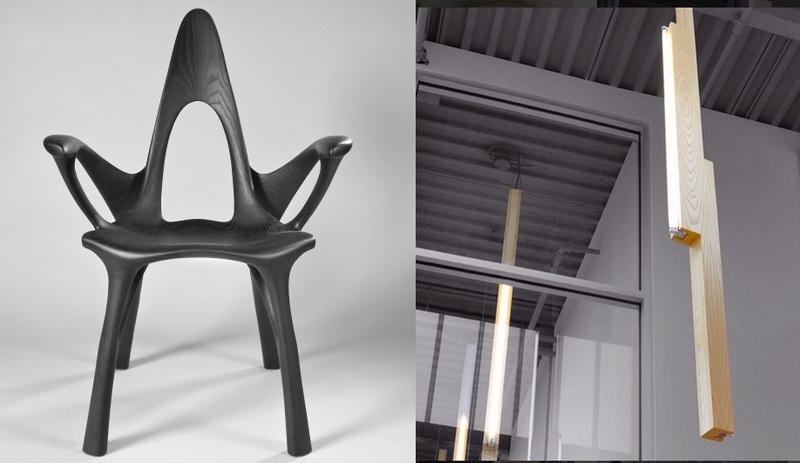 Kichul Lee and Doosu Shin presented Chair_W, a surprisingly comfortable CNC-formed chair made using a kiln carbonization process that removes pesticides form the wood. Also on view were the wooden pendant lights that Mirko Zupancic created for the Mount Dennis Library, which his firm G. Bruce Stratton Architects recently redesigned; and a pair of asymmetrical benches, named Perspective, designed by Michael Fortune. Intended for entryways, the benches are stained using tea and a mixture of vinegar and steel wool. Kunikazy Hamanishi’s Sewing Lamp employed a combination of ash veneer and adhesive fibre, which is then hand-stitched together to form a fashionable shade. 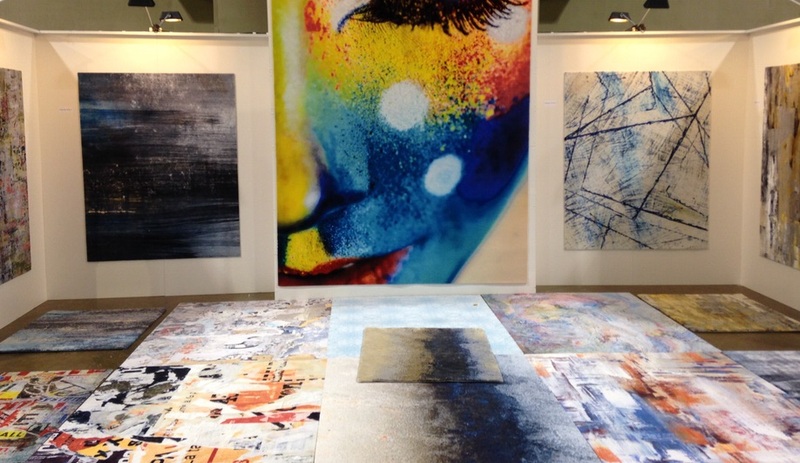 The Toronto-based carpet design house showed off a new collection of high-resolution, digitally printed rugs, in wool and silk. The fine textures make them equally suitable as wall hangings; and the line earned an IIDEX Innovation award as an acoustical solution. The Swiss furniture company attracted a lot of attention with a small, simple booth that highlighted the Allstar office chair, which launched last year. 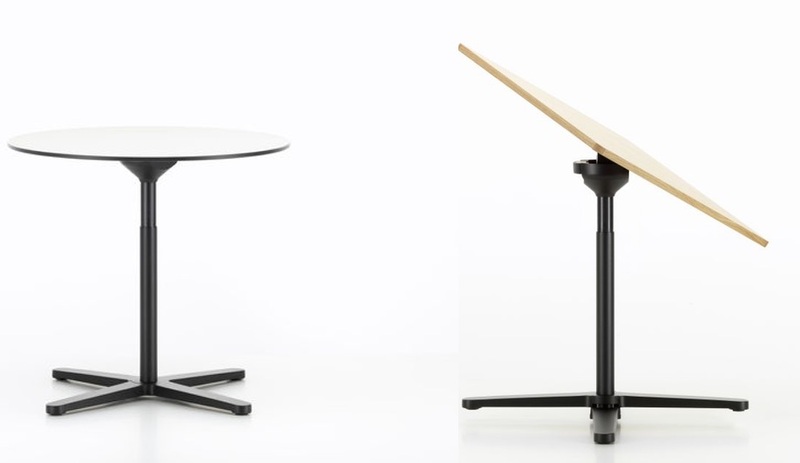 Designed by Konstantin Grcic, the chair was shown in a variety of colours, making them the perfect counterpoint to the Super Fold table, displayed in a round, white pedestal version. Jasper Morrison designed the feet and the top to fold in, allowing the pieces to be compactly stored. 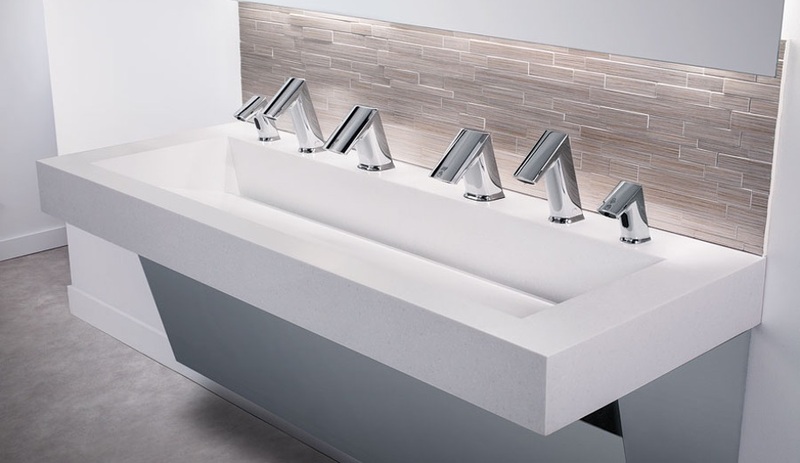 A simple but smart solution for public washrooms, Sloan Valve’s Aer-Dec integrated system installs touch-free soap dispensers, faucets, and hand dryers in a tidy row along the deck of a splash-proof trough basin. 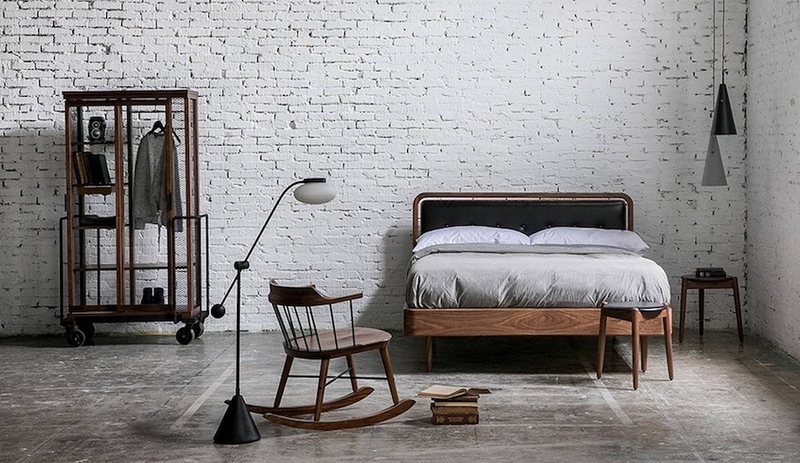 Shaw’s booth put the spotlight on The Park, a richly textured and patterned collection launched earlier this year. 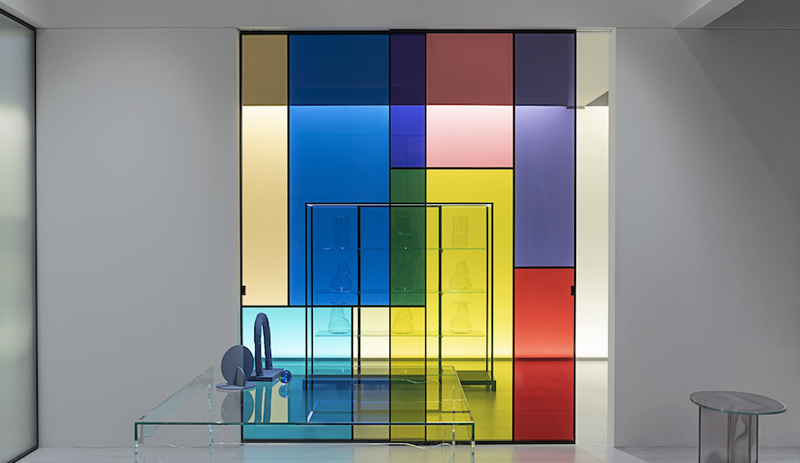 The line includes seven complementary styles and a coordinating, PVC-free resilient flooring that allows a seamless aesthetic in spaces where different floor surfaces are required. 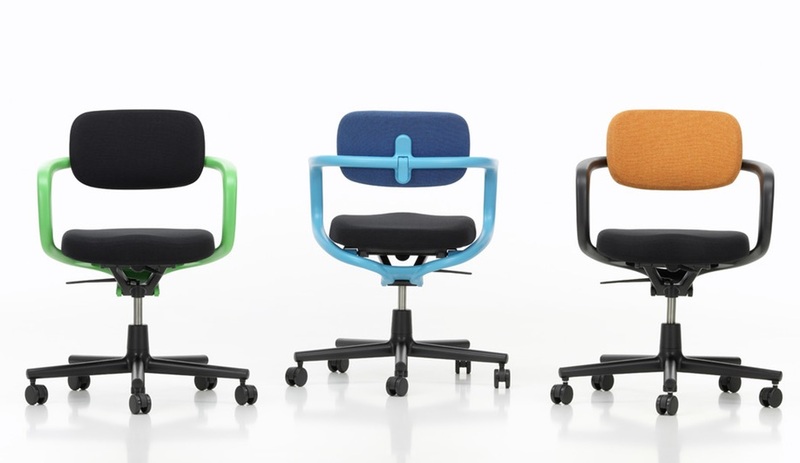 Both options are sustainably manufactured and Cradle-to-Cradle certified. Lightform launched several new pieces from San Francisco manufacturer Pablo, including the Swell modular chandelier. 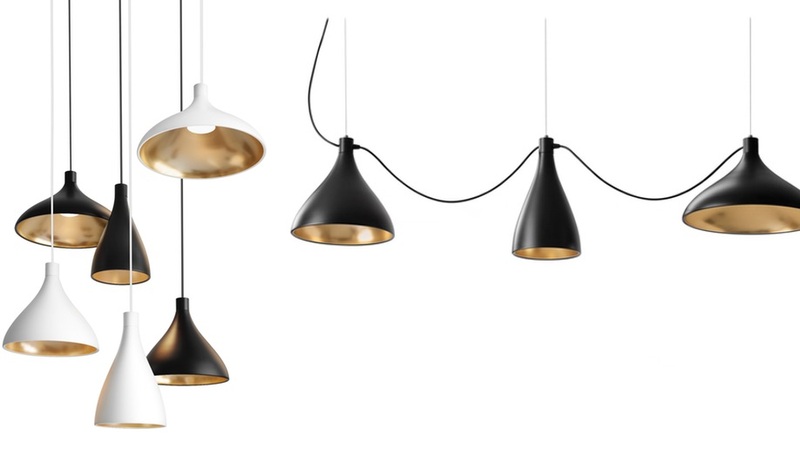 Made up of three interconnecting pendant shapes, the line is in white, black and gold finishes – all of which can be used for interior or exterior applications. When Quadrangle Architects described this special feature as transformative, they meant that quite literally. In order to illustrate the “possibilities of the ever-changing definition of workspace” the installation seemed to magically morph throughout the run of the show. 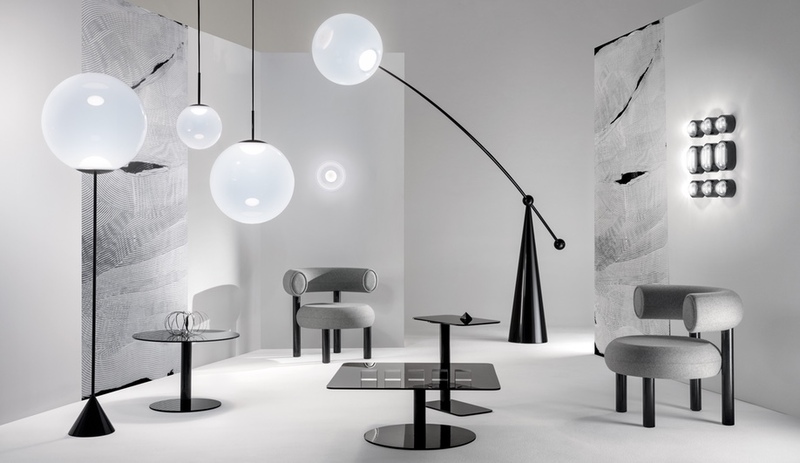 In every corner of the space, outfitted by such manufacturers as Keilhauer, Teknion, Haworth and Steelcase, the brands stayed the same but the furnishings changed, offering a series of relaxed settings. 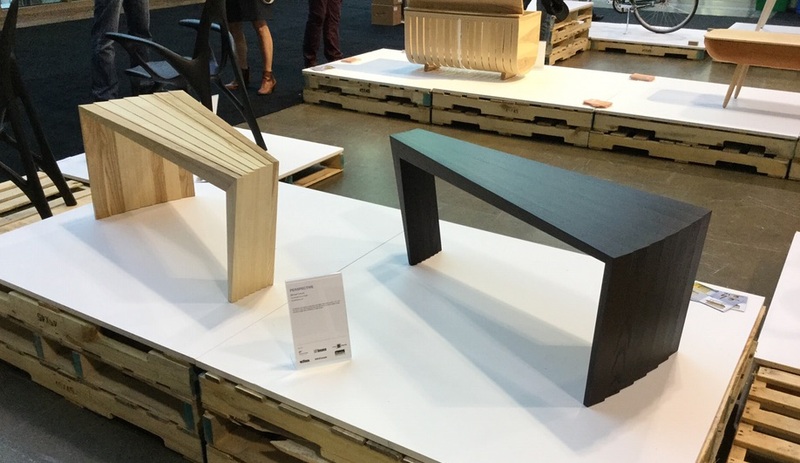 Ten years ago, Todd Saunders came to IIDEX as part of a group of emerging designers, at a time when he had only a single built project. His keynote address, which capped off the show on Thursday, made for a triumphant return. 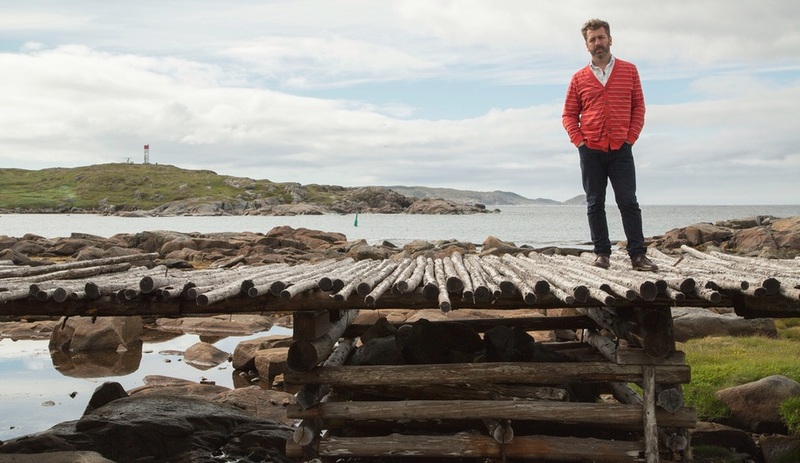 The spotlight was already on his best-known project, the Fogo Island Inn: just two days prior, Azure had hosted a jam-packed special screening of the film Strange & Familiar: Architecture on Fogo Island at the Scavolini showroom, and the doc was set to make its television premiere that evening. The architect provided even further insight into the renowned project, and shared some details on a lengthy list of upcoming projects. Speaking of Fogo (and who isn’t? ), the Fogo Island Shop had a display floating at the front of the exhibition hall. 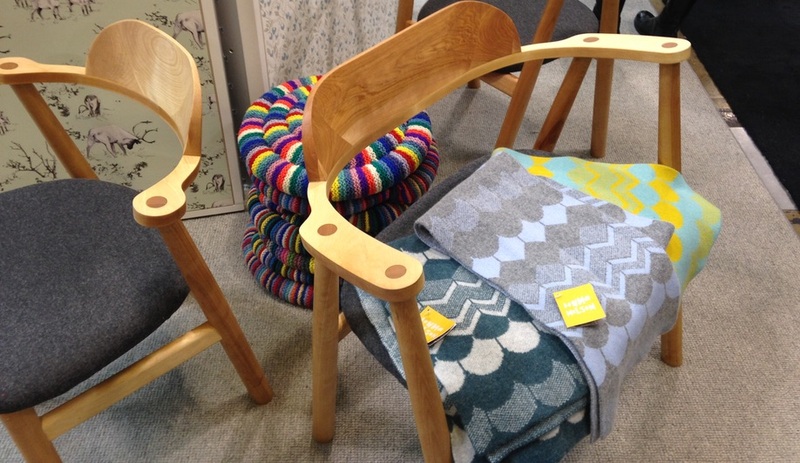 The collection, which launched last year, includes stunning handcrafted chairs and benches, colourful cushions and striking scarves and wallpaper with graphics designed by Donna Wilson.